L.E.J. Brouwer (1881-1966) is best known for his revolutionary ideas on topology and foundations of mathematics (intuitionism). The present collection contains a mixture of letters; university and faculty correspondence has been included, some of which shed light on the student years, and in particular on the exchange of letters with his PhD adviser, Korteweg. 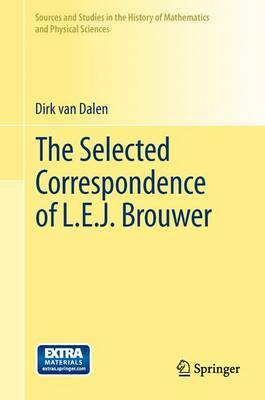 Acting as the natural sequel to the publication of Brouwer's biography, this book provides instrumental reading for those wishing to gain a deeper understanding of Brouwer and his role in the twentieth century. Striking a good balance of biographical and scientific information, the latter deals with innovations in topology (Cantor-Schoenflies style and the new topology) and foundations. The topological period in his research is well represented in correspondence with Hilbert, Schoenflies, Poincare, Blumenthal, Lebesgue, Baire, Koebe, and foundational topics are discussed in letters exchanged with Weyl, Fraenkel, Heyting, van Dantzig and others. There is also a large part of correspondence on matters related to the interbellum scientific politics. This book will appeal to both graduate students and researchers with an interest in topology, the history of mathematics, the foundations of mathematics, philosophy and general science.